The Russian military has launched a large-scale operation against terrorists in Homs and Idlib provinces of Syria, Russian Defense Minister Sergey Shoigu said on Tuesday. 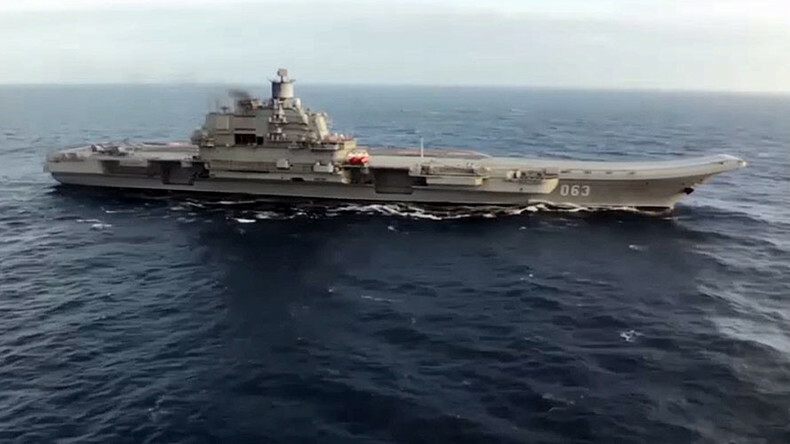 It includes the first-ever combat mission involving Russia’s aircraft carrier Admiral Kuznetsov. "Today at 10:30 and 11:00 we launched a large-scale operation against the positions of Islamic State and Al-Nusra [terrorist groups] in the provinces of Idlib and Homs," Shoigu said at a meeting between Russian President Vladimir Putin and the top leadership of the Russian Armed Forces. The Admiral Kuznetsov aircraft carrier, the flagship of the Russian Navy, is also taking part, Shoigu said. This is the first time the Admiral Kuznetsov has taken part in a military operation. Sukhoi Su-33 fighter jets have been launched from the deck of the carrier, the defense minister said. Terrorist positions have been hit with cruise missiles from the frigate Admiral Grigorovich, Shoigu added. 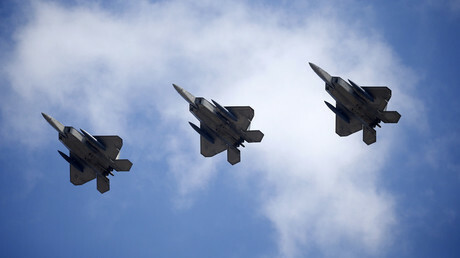 The strikes are targeting factories and arms depots operated by the jihadists in Syria, he said. "The main targets of the strikes are warehouses with ammunition, [terrorist] gatherings and terrorist training centers, as well as plants for the production of various kinds of weapons of mass destruction of the population," Shoigu detailed. He stressed that terrorists had actual factories, not merely workshops, for weapons production. "They are factories, not workshops, more specifically the plants for the production of all sorts of rather serious means of mass destruction." "Clearly, this is a well-established industrial production, these are the targets for today's strikes. And they will continue," the minister stated. The minister noted that the Russian military had thoroughly surveilled the targets before striking them, choosing the most important. "You are aware that we have sent a large group of our radiation, chemical and biological protection troops to determine the toxic substances which are used by terrorists. Within the past week they used them twice – in one case, 27 people were hospitalized and three died, in the other case 30 people were hospitalized – I mean the Syrian Army soldiers," Shoigu said. Journalists asked presidential spokesman Dmitry Peskov about the possibility of the operation which started on Tuesday to be expanded to include Aleppo. "Aleppo has not been mentioned in the report of the defense minister; it concerned other areas – Homs and Idlib [provinces]," Peskov told the press. Russian jets have not been in the vicinity of Aleppo for the last 28 days and thus could not have targeted the region, Russian Defense Ministry spokesman Major General Igor Konashenkov said on Tuesday. “Russian Air Force aircraft as well as Syrian air forces have not bombed Aleppo for the last 28 days at all,” Konashenkov said. Reports by some media outlets regarding an alleged attack on a third hospital in Aleppo carried out by Russian forces is “a mere lie,” Konashenkov added. President Vladimir Putin previously ordered the Defense Ministry to provide reliable air cover for the Russian forces in Syria. On Tuesday, Shoigu said the Russian military has been covered with S-300 and S-400 Triumph air defense systems. “The S-400 has been running for a long time now. 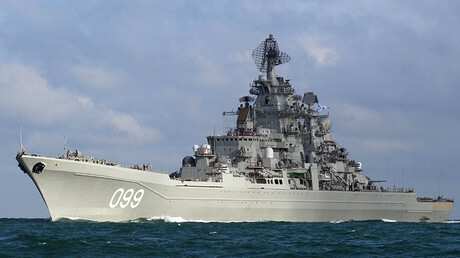 Apart from that, we have added S-300 to cover the sea area, nearly all the way to Cyprus,” the minister said. “Additionally, the Bastion coastal missile complexes have covered almost the entire coastline,” Shoigu said, noting that “with these complexes, we are able to destroy both sea and ground targets” at distances of 350km for sea targets and nearly 450km for ground targets. Shoigu noted that the issue of providing cover from low-flying targets has also been solved. “That’s what the Pantsir complexes have been deployed there for,” he said, also reporting that Syrian S-200 air defense systems have been restored over the past four months. The United States has often been accused of helping, or at least turning a blind eye to, certain extremists in order to pursue its other policies. But according to terrorism expert Max Abrahms, of Northeastern University, there is likely to be more cooperation between Russia and the United States over Syria following Donald Trump’s election.